This post starts by explaining more in detail the court’s decision. Then it addresses – shortly, because that’s not the focus of the case now – two issues the court did not address in detail: why the plaintiffs’ argument of unconstitutional conditions is unconvincing and the problems with the plaintiffs’ effort to distinguish previous Supreme Court cases. The Court opened by finding that A Voice For Choice did not provide enough facts to have standing. The standing doctrine, in lay terms, prevents bringing cases that are purely abstract or general, where the person bringing them does not have a personal stake. Organizations have standing if they meet certain conditions, one of which is showing that its members would have personal standing if they sued. The court pointed out that A Voice For Choice did not point to members that would have standing. This alone, however, would not have been fatal to the lawsuit: first, there were other plaintiffs – parents and children who clearly had been affected by the law. These plaintiffs clearly had standing. Second, it would probably be easy to fix – I’d be surprised if A Voice For Choice didn’t have or couldn’t find members affected by the law. If this was the only issue, the lawsuit would not have been dismissed. The case was dismissed because the substantive arguments were contradicted by existing jurisprudence, a jurisprudence grounded in powerful policy reasons. The court examined whether SB277 violates the Fourteenth Amendment requirement that states not deprive persons from life, liberty or property without due process of law. The first question was what is the standard. The usual standard for laws that don’t use a suspect classification (like race or gender) or violate fundamental rights is what we call rational basis – as long as the law is rationally related to a legitimate government purpose, it stands. If a fundamental right is involve, a much more demanding standard is used – strict scrutiny that only upholds laws that protect a “compelling” state interest and are narrowly tailored to that. This is a very high bar. The plaintiffs tried to argue that strict scrutiny is the correct standard because the law violates their children’s right to refuse medical treatment, or their parental rights to make medical decisions, along with their children’s right to education. The court rejected all of these claims. To that, the court pointed out, the answer is a clear and resounding no. That’s because our courts permit states to require vaccination before attending school to protect the public health and children’s health. Disease outbreaks put children and others at risk. Vaccines prevent them. Hence, vaccines make schools safer. The court therefore rejected the first two alleged rights. The court then pointed out that there is no federal fundamental right to education, and you cannot bring the state claim against the defendant in this case in federal courts. The standard, therefore, is rational basis. Since school immunization requirements is a rational means to achieve the legitimate state interest of public health, the law stands under that, too. The court therefore rejected the plaintiffs’ claims. The court didn’t directly address this argument, so I won’t examine it very deeply. I will just point out a few things. First, the doctrine is nowhere as clear-cut as Ms. Hildebrand suggests. The jurisprudence about unconstitutional conditions is extremely conflicting and unclear. To give two examples, in 1991, the Supreme Court found that it was constitutional for Congress to restrict funding to programs that counseled on family planning when it also offered counseling on abortion. The court upheld the condition even though it potentially implicated the doctor’s right to free speech, and less directly, a woman’s right to abortion (Rust v. Sullivan, 500 U.S. 173 (1991)). In contrast, the Supreme Court struck down a California Coastal Commission plan to offer coastal owners benefits for allowing the public to use their waterfront: this was, said the court, “an out-and-out plan of extortion.” (Nollan v. California Coastal Commission, 483 U.S. 825 (1987). The best we can say, as a recent article explained, is that sometimes conditions involving rights are constitutional, and sometimes they are not, and the principle determining which are which is unclear. (Mitchell N. Berman, Coercion Without Baselines: Unconstitutional Conditions in Three Dimensions, 90 Geo. L.J. 1 (2001)) That doesn’t make this a bad or illegitimate argument; it’s a perfectly legitimate legal claim, and not a far-fetched one. But it’s not a sure win or a very strong one, either. Second, even when the doctrine applies, it’s not a final obstacle: it requires scrutiny of the condition, but it’s not an automatic bar. Arguably, school immunization mandates that protect children and the public health can withstand that scrutiny. In addition, vaccine mandates don’t fit into the rubric very well. Education has always been regulated by the state, and that regulation often involved restricting the students’ rights, at least, and certainly allowed restrictions to make schools safer – including safer from disease. In other words, this was always a benefit that came with regulating for safety, because there are other students in school that also have a right to be safe. And in this case, neither right claim is a strong reed. In my previous post, I pointed out that this isn’t about the children’s refusal of medical treatment since young children do not make that decision directly themselves. I also pointed out parental rights are not absolute. And under our jurisprudence do not include an absolute right to refuse to protect a child from disease. In other words, one right doesn’t apply, and the other can be limited in this context. The argument, then, is not very strong. The plaintiffs’ request for preliminary injunction tried to distinguish Jacobson. It started by pointing out to the fact that Jacobson was cited in the infamous Buck v. Bell, 274 U.S. 200, 207 (1927), which allowed forced sterilization of a woman presumed to be intellectually disabled. Buck is a dark mark on our court, but that alone does not negate the power and validity of Jacobson: Jacobson was not about sterilizing individuals, but requiring people to protect themselves from disease in order to prevent outbreaks that would hurt many in the community directly. The principle that the community can protect itself from the real risk of disease is still a well-accepted one in our system. It is the basis, for example, not just of school immunization requirements but also of quarantine laws. The plaintiffs tried to distinguish Jacobson because it’s “a relatively self-contained township.” The vaccine applied to “a highly contagious, airborn[e] disease” during an outbreak and included a modest fine, which they say is less serious than exclusion from school. The plaintiffs, however, run directly into another precedent – Zucht v. King, 260 U.S. 174 (1922) – where there was no outbreak, and the law upheld was a school immunization requirement with no exemption. Zucht is based on the basic holding of Jacobson, and that fact – that the Supreme Court saw Jacobson as governing in a case with no clear outbreak, with school immunization requirements – negates several of the points raised against Jacobson. The plaintiffs emphasize two things here – first, that these were towns before the age of international travel, and second, the dangers of smallpox which they compare to the lower risk of chicken pox, trying to limit the jurisprudence to diseases with very high rates of mortality. But neither argument is very good. First, the fact that these are towns before the age of international travel works the other way. International travel means that even as measles and polio, for example, are eliminated from our society, travelers still bring them in – and maintaining herd immunity, protecting, especially, our children, is even more important. An unvaccinated school child can now travel to an area where measles, for example, is endemic and bring the disease back to school, causing an outbreak. Unvaccinated children caused such outbreaks in San Diego in 2008 and Indiana in 2005 – and it’s still unknown who patient zero was in Disneyland, so we can’t rule out that scenario there, too. As to the other argument, that seems to be a matter of degree rather than kind. Chickenpox is not smallpox – but it can have complications and even kill. 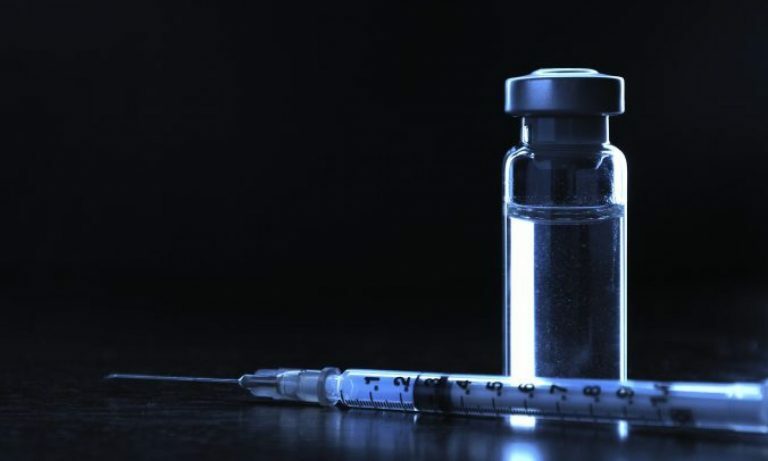 Before the vaccine, 100-150 people died from it every year and 11,000 were hospitalized. That vaccine, too, protects children from real risks, including the risks of death. Zucht made it clear that protecting schools from disease via immunization mandates is constitutional. It was based on Jacobson’s principles of a community’s right to protect itself from the dangers of potentially fatal diseases. It was not restricted to smallpox. The plaintiffs have not made a strong case that their case is different. The court rejected Torrey-Love because immunization mandates are supported by a strong jurisprudence upholding a state’s right to require immunization before school, to protect children and the public health. It allows states to act to make schools safer from outbreaks. This jurisprudence – correctly – presents an obstacle to those attacking laws like SB277. Torrey-Love also adds to the growing body of jurisprudence in federal and state courts – so far, at first instance, but decisions state attorneys can point to – supporting SB277, making the law even more solidly supported by constitutional principles.